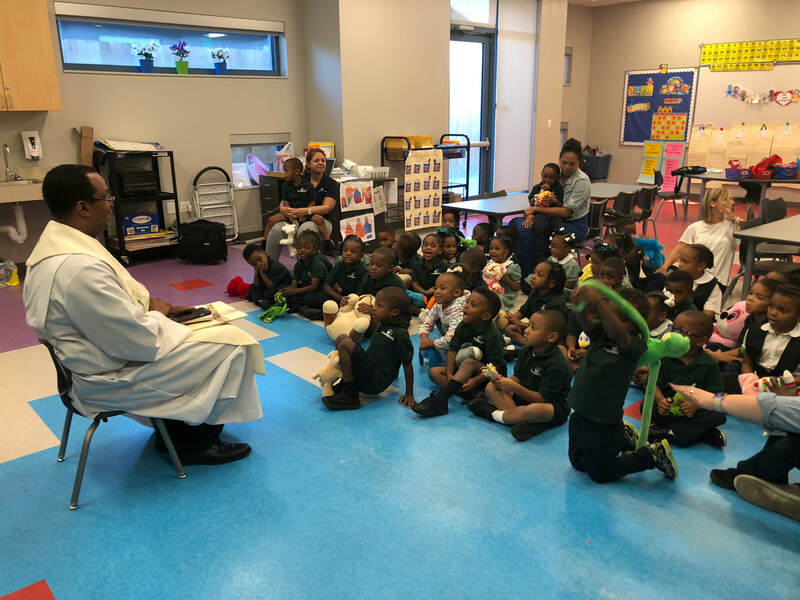 As we celebrate the feast day of St. Francis of Assisi at GSS, our PreK-4 and Kindergarten students met with Father Henry Davis today. Our young students brought in pictures of their live animals as well as their favorite stuffed animals to share with Father Davis. 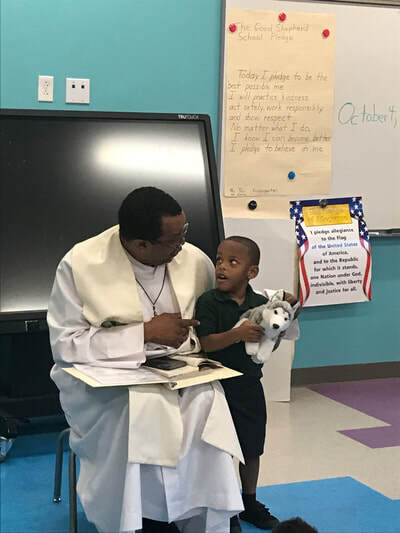 Like St. Francis of Assisi, our faithful and serving students asked the Lord to bless their loved creatures today and always. 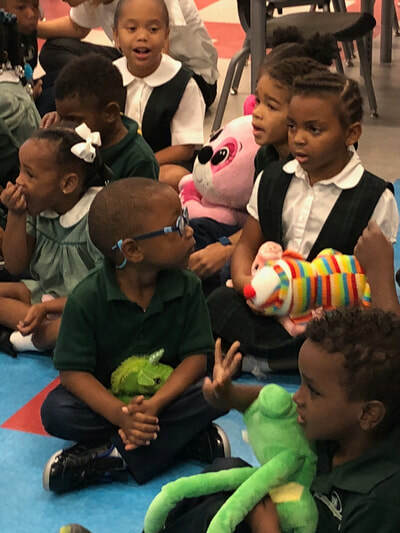 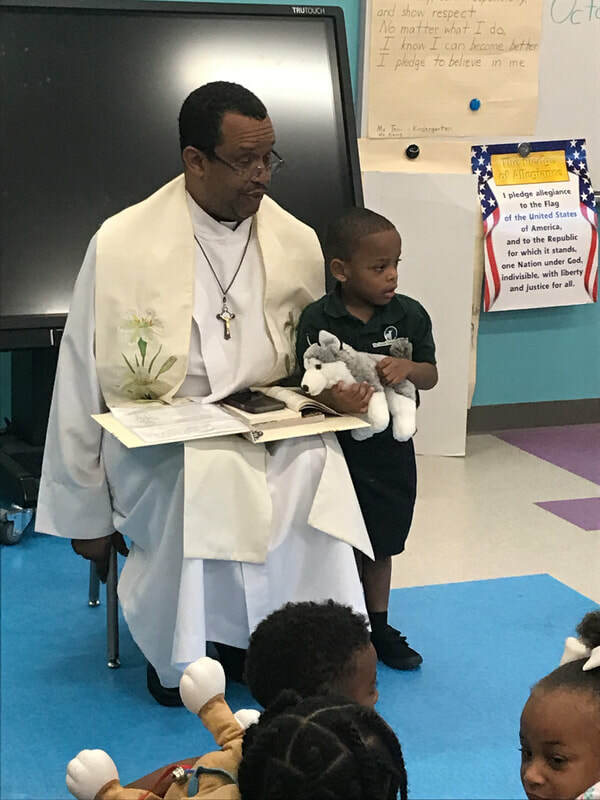 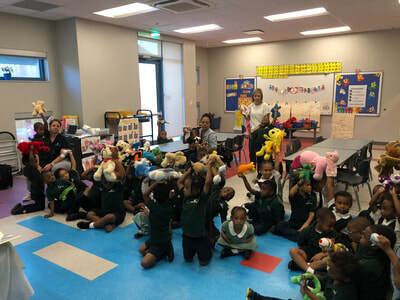 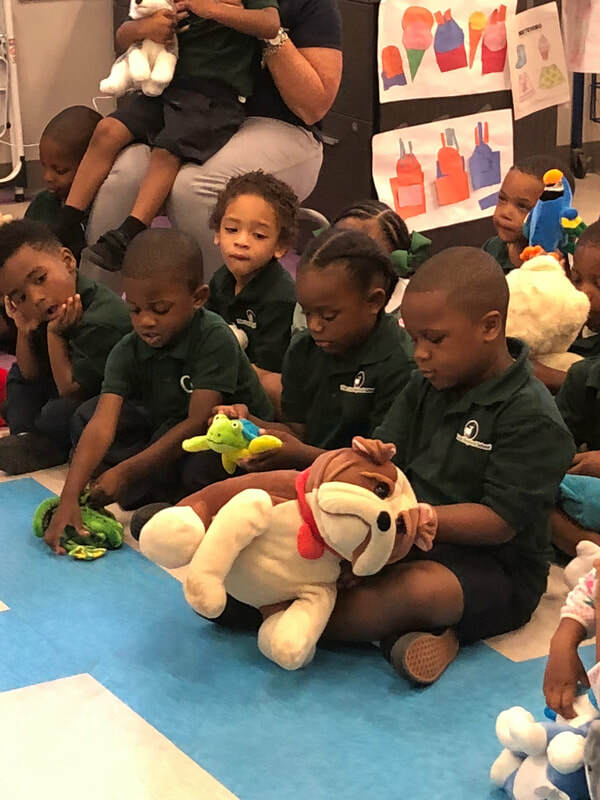 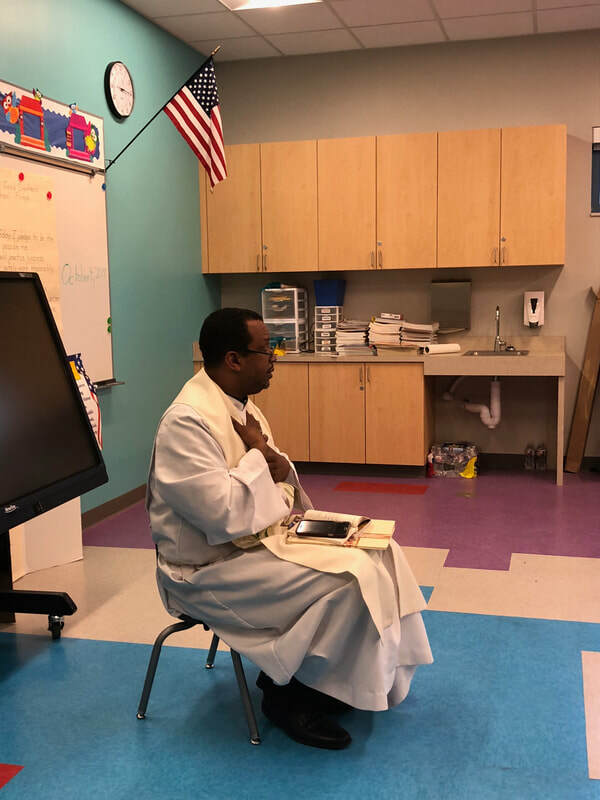 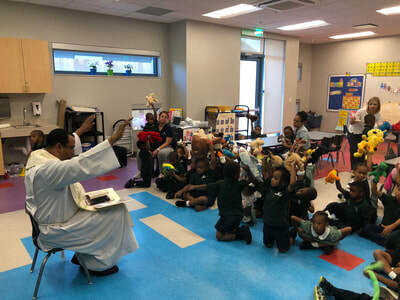 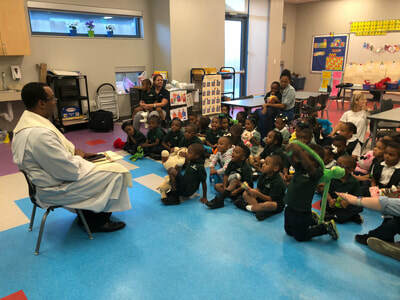 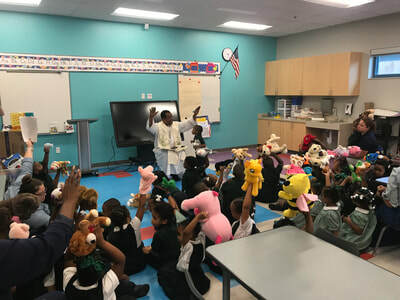 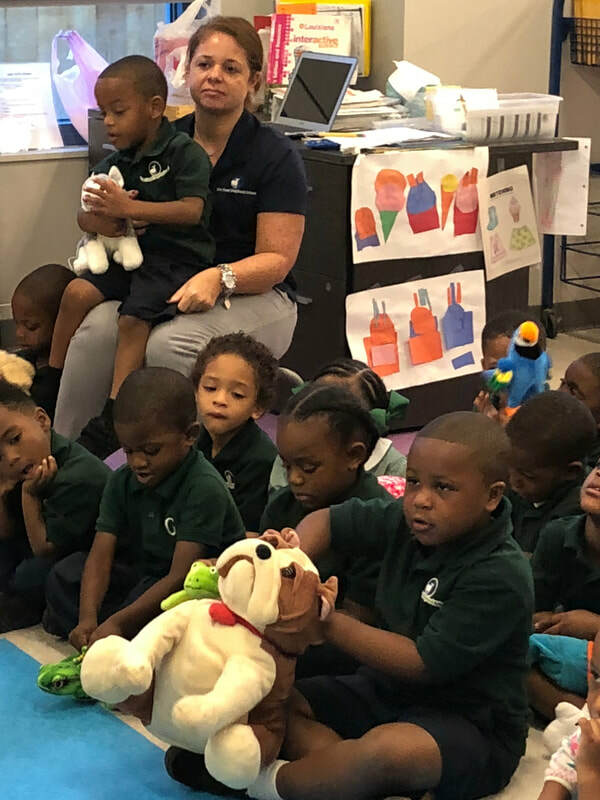 Father Davis educated our young students about St. Francis of Assisi, involved the students in some stories and ended the celebration by blessing the students' and teachers' beloved pets. After an enthusiastic thank you from our students, Father Davis gifted everyone with a special prayer card and coloring sheet to remember their day. 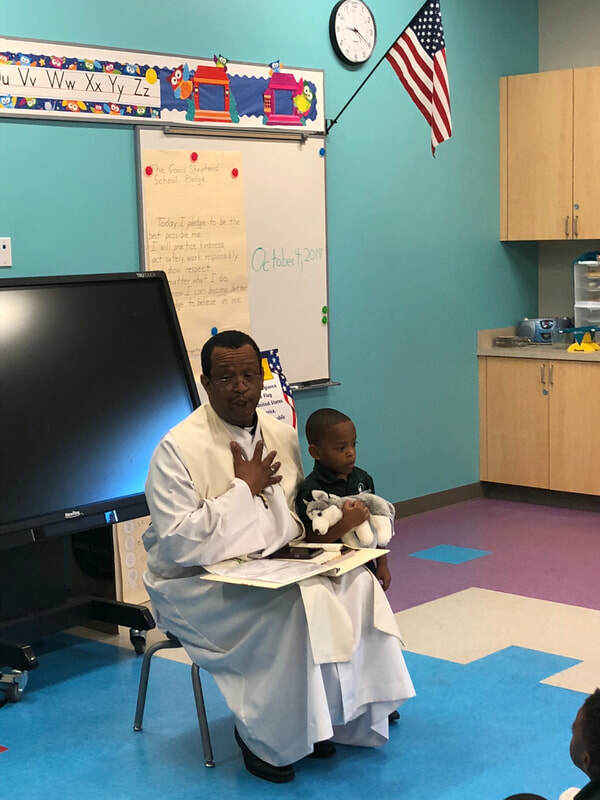 Many thanks for Father Davis for a memorable event.